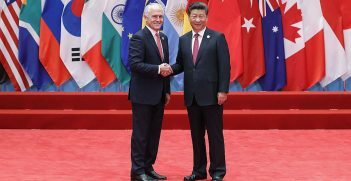 Australia has responded to three separate changes in the international order over the past century. The two previous international systems terminated in war. Can a new order be marshalled without conflict? All orders – the universe, the human body, the international system – fall inevitably into entropy and require the injection of energy to resist it. The world of 19th century Europe and the balance of power ended on the Western Front. But in 1919 and afterwards the system could not muster the energy sufficient to impose a lasting order. The United States pulled back from international engagement, the provisions of the peace treaty marginalised Germany and drove its continuing resentment, social revolutions weakened Europe, the international economy collapsed under the weight of protectionism. The contrast with the end of the war that followed was marked. In the years after 1945, American power provided the energy required to create and anchor a new order. The liberal nature of the order it proposed engaged the interests, and therefore the energy, of other nation states. It established the preconditions for regionalism to succeed in Europe and later Asia, adding additional elements of order. In 2018, the order we have known for the past 70 years has ended. The two previous international systems terminated in war. This one seems to be draining away as its core components lose confidence in its purpose, and emerging powers see opportunities to assert their interests. Can a new order be marshalled without conflict? Where will the energy come from to sustain a stable new international order and resist entropy? When Britain declared war on Germany in August 1914, it did not consult its Dominion governments about the decision. No Australian politician thought that surprising. The prime minister, Joseph Cook, sent an immediate message to London offering the Mother Country “20,000 men of any suggested disposition to any destination desired”. The Opposition leader, Andrew Fisher, declared, in turn, that Australia would stand by Britain “to help and defend her to our last man and last shilling”. This unstinting support was driven not just by a deep sense of Britishness but by a consciousness of Australian interests as well. If Britain was threatened, victory in Europe was necessary to preserve the Empire and therefore to provide Australia with security against what Billy Hughes described as the “teeming, sweating millions” of the East looking “with covetous eyes on our continent”. It was Japan he had principally in mind. Gallipoli saw the first major action by the members of what was now called the Australian Imperial Force. The history of the campaign, part of the effort to force the Dardanelles Strait and capture Constantinople, is well known. It was a failure, a strategic cul-de-sac and had no part in the ultimate victory. More British and French forces were killed than Australians and New Zealanders. But as the first accounts of the actions of the ANZAC troops reached Australia, the effect on the community was galvanising. The reports of the fighting at Gallipoli spurred a surge of new enlistments by young men who could no longer be in any doubt of the sacrifice that overseas service would require. The courage and the qualities of independence and mateship that Australians discerned in the way the ANZAC troops fought, provided a heroic story that would soon be “embedded in the commemorative rituals, literature and public discourse” of Australian life. It has reshaped itself over the years from pride in a sort of separate Britishness to full-blown multicultural nationalism. When the war ended, the prime minister, Billy Hughes, was determined that Australian interests would be taken into account in the peace. In contrast to Australia’s response when war was declared, he complained that Britain had not consulted the Dominions before signing the Armistice agreement. On international affairs, Hughes was a grim realist: “While we are in the jungle, we must beware lest the wild beasts devour us.” He certainly believed that Australia should be consulted when imperial policy was being made, but the Empire itself was “the rock on which the house is built, the cross to which it clings”. During the Paris Peace Conference Hughes wore two hats, one as a member of the British Imperial delegation and the other as a representative of Australia. He had three clear objectives: to ensure that Australia held onto German New Guinea, which it had seized during the war; to secure generous reparations from the war’s losers; and to prevent Japan inserting into the Charter of the League of Nations a racial equality clause which might challenge the White Australia policy of restricted immigration. He worried that after the war the United States might increase its relative power in the Pacific compared with Britain. He loathed Woodrow Wilson and his Fourteen Points, including the League of Nations. The feeling was mutual. Concerned that Hughes might stir up trouble in America with his hard-line position on German reparations, Wilson advised his secretary of state that if the Australian Prime Minister were to apply for an American visa he should be refused. 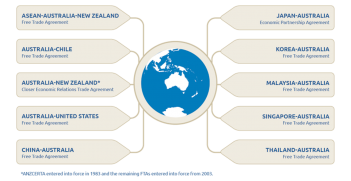 After a fight, Hughes more or less got what he wanted out of the conference and Australia joined the League of Nations, which was open to self-governing states, dominions or colonies. Gallipoli and the experiences of the First World War had given Australia a stronger sense of national identity, but not of national power. Australia’s response to the change of order was hesitant. It had a greater consciousness of its own distinct international interests but was reluctant to acknowledge how much the world had changed. It wanted to avoid making hard decisions about its future. Exhaustion, bitterness, and economic crisis drained both sides of politics. Split between leftist factions, trade unionists, pacifists and Irish nationalists, the Australian Labor Party slumped into something more like isolationism than Australia has since seen in one of its major parties. 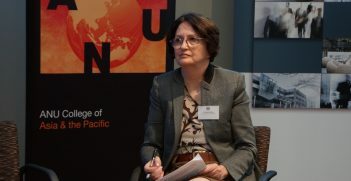 Australian international policy debate, such as it was, was driven by a handful of officials and a tiny group of interested academics, lawyers and businesspeople, many of them connected with the new Australian Institute of International Affairs. The structure wasn’t there; neither was political leadership, administrative effectiveness, or much knowledge of the world. Later leaders were no more inclined than Hughes to expand Australian ambitions or test the boundaries of its power. S. M. Bruce, who succeeded him as prime minister in 1923, told Parliament that the “elemental fact”, as he saw it, was that “the British people represent one nation, and not many nations as some have endeavoured to suggest”. The task for Australia was to “find the best possible method by which we can have a voice in the determination of the foreign policy of the British Empire”. Throughout the 1920s, the contrast grew sharper between Australia’s fear of abandonment and the desire of other Dominions – Canada, the Irish Free State and South Africa – to establish a new place for themselves in the international system. When the Australian parliament had the opportunity to ratify the 1931 Statute of Westminster, designed to give the Dominions a clearer status in the world, it balked, lest the action give support to the idea of separatism from Great Britain. The Australian atmosphere at the time was summed up by one of Australia’s most consequential foreign ministers, the Liberal Party’s Percy Spender. “It is difficult to recapture”, he wrote later, “the degree of ignorance of and indifference to foreign affairs which existed in Australia” before 1939. With the outbreak of the Second World War, Australia again found itself engaged by virtue of the ties of Empire. As Prime Minister Robert Menzies told the Australian people on 3 September 1939, “Great Britain has declared war upon [Germany] and … as a result, Australia is also at war”. Then came the Japanese strike on Pearl Harbor and the fall of Singapore. The impact on Australia was more dislocating that anything the country has experienced since. It was now abundantly clear that Australian interests could differ urgently from those of the United Kingdom, and that Australia needed a better way of understanding the world. Australia was propelled into the international identity which it had been resisting. Allan Gyngell is National President of the Australian Institute of International Affairs and an Honorary Professor in the ANU’s College of Asia and the Pacific. This article is first in a series of three edited extracts from Allan’s Gallipolli Memorial Lecture delivered at the Royal United Services Institute for Defence and Security Studies on 29 June 2018. The rules-based international order is a reaction against the perceived loss of traction of the post-war law-based international order. Australian jurist and diplomat Sir Kenneth Bailey believed that if the law-making process failed, what was required was better law.